The thing is, things change very quickly and what worked for you in 2017 might not work for you in 2018 and beyond. If you have noticed that your sales are diminishing, it could be that your campaign has become stale. If that is the case, it’s time to freshen it up! Are you using these ways to increase your sales? One of the simplest things you can do to refresh your marketing campaign is to switch up the type of content you use. So, if for example, you mainly use the written word (blog posts, emails) to appeal to your audience, try creating a few vlogs or posting lots of images on social media instead. It will cause people to sit up and pay attention again where they might have been skipping your stuff for a while. You don’t have to stick to one kind of content either, the more you mix and match and try new things, the better it is likely to be for your business. You don’t have to turn your blog posts into a different format if you can’t. The best way you can approach this (and arguably the easiest way to reuse blog posts) is turn them into e-books. In my case, I convert my blog posts into e-books using Designrr. Using the tool, you can create customized cover pages and calls to action for each e-book you publish. Of course, the success of the repurposed content depends on how you use them. In this case, I use the e-books as content upgrades to help build my email list. I use ConvertKit* which allows you to attach the e-book on the form you created. Whenever somebody signs up to the form, they receive an email to confirm their subscription so they can receive the e-book. It’s a simple way to put your content at work so you don’t have to create content upgrades from scratch. By signing up to the form above, you will get a copy of the content curation post I wrote for RankPay two years ago via email. It’s a good tactic because you bring to attention you wrote from another site and not from your blog. There’s a good chance they haven’t read this yet, so it’s best to use the content as an incentive email to grow my list! So how does this method increase your sales, exactly? By creating different formats for your blog posts, you increase your reach to potential clients who prefer to consume content other than blog posts. The beauty with e-books is people can access them without going online. They can read them while riding the bus of if they’re stuck in a place without a WiFi connection. This one will take more time and effort, but if you do it right it will really pay off. Take an honest look at your brand and identify areas where it could do better in terms of appealing to your target audience, whether that means using “younger” language, switching the color scheme of your website or using Instagram rather than Facebook to build your primary audience. Oh, and while you’re at it, don’t forget to create a strategy for internal branding too because the state of your brand can have a blog impact on your staff as well as your customers. The key is to do your research before making any changes. However, I made an ill-advised move to revamp my site from one where I accept freelance writing client to a blog about digital marketing. 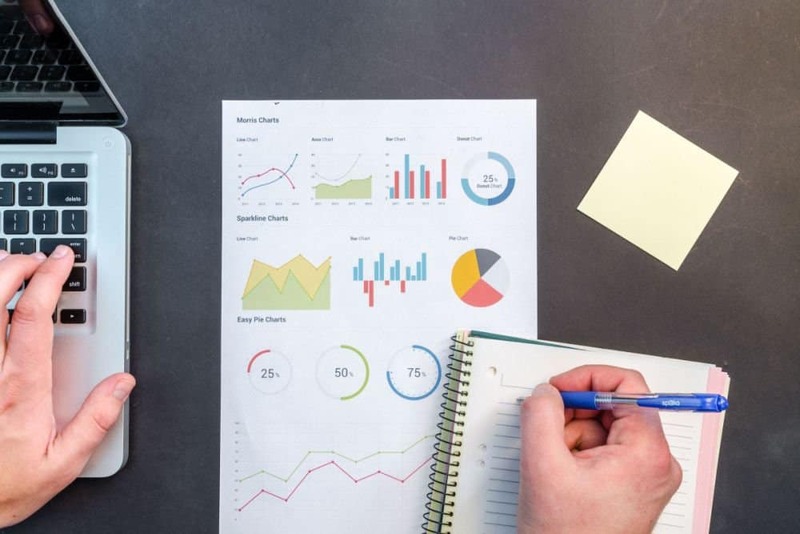 Therefore, instead of leveraging the site as a well to attract clients, I turned it into a blog where I inform people about the best digital marketing tips and tactics. I even changed up the logo to precipitate the dawn of a new era. Looks good, but there’s a problem. My rebranding efforts was short-lived. I had to revert back the site as a place for generating freelance writing clients. The mistake I made was I disregarded the target audience of my site. 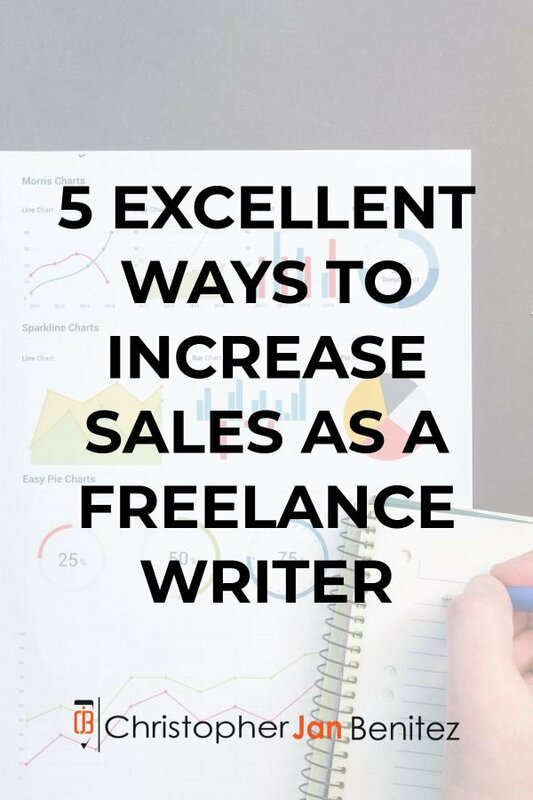 For years, the site has been a place for me to attract clients for my freelance writing services and to provide readers with tips about writing. By rebranding it into a totally different animal, I not only lost traffic but also lost leads in the process! Nobody was reaching out to me for my writing services due to the rebrand. Therefore, I had no choice but to transform the site back to its previous state and what you see now. The lesson at my poor attempt at rebranding is to always stick to who you are. By keeping in line with your online identity, you stay true to your audience and goals. As a result, you build better customer relations and grow your business faster. Take a lesson from the ALS Association who are now very well-known after launching the Ice Bucket Challenge on social media a few years ago and do something big on social media yourself. Whether you create an amazing viral video or you get your employees to start their own challenge to benefit a good cause, or you come up with something completely new and huge, it will help you to make a splash and increase engagement with your brand online. But let’s face it – as a freelance writer, it’s probably wise to do something that’s closer to your writing services. Dumping a bucket of ice-cold water won’t really attract more clients your way. However, you must still follow the spirit of doing something big on social media your own way. Join my raffle giveaway by filling out the form on the right sidebar or by clicking here. Get in touch with people who actually need my content – WWE Chief Brand Office Stephanie McMahon said years ago that “Philanthropy is the future of marketing.” This statement rings true to some extent especially if your goal is to give back to people and provide them what they need. The monthly giveaway is my way of giving something away of value to people in need. More importantly, I connect with people who can potentially become a client in the future if I impress them enough with my article! Build a portfolio – Writing for free seems counter-intuitive for writers such as myself. Why give away my service for free, you ask? One of the benefits of writing for different sites is to build your writing portfolio. I get to compile the articles I have written for free and showcase to potential clients who want to learn more about my services. In running this giveaway, I use the Kingsumo Giveaway plugin. It allows me to accept multiple entries from people who want to get my free content. They do this by sharing my giveaway on different social media platforms and help spread the word to other people who may be interested. Once the giveaway reaches the deadline, you can hold the raffle to declare the winner. Again, my monthly giveaway won’t trend on Twitter or Facebook anytime soon, but it’s a great place to start doing something on social media. The goal of the giveaway is to attract as many people to it which could lead to some of them checking out my writing services. Once more people take notice of my giveaway, clients will potentially start looking at my writing services. A/B user testing is a great way to see what your customers actually like and want to see more of by giving them two options and seeing which one is the most popular. If you do this and you actually act on the results, you can bring your business and campaigns right into the now and increase sales. Refresh your marketing efforts and you’ll also refresh your customer base, bringing in lots of new people as well as re-interesting existing customers. Similar to the third point, you need to provide something of value to your target audience and readers. However, instead of making it available to a winner, you make the freebie available to everyone instead. As mentioned in the first point, I repurpose content I’ve written on different sites as incentive emails to encourage people to sign up to my email list. However, for this exclusive freebie, I need to create something from scratch. This makes the freebie unique and one of a kind, both of which are qualities which make the freebie more appealing to my audience. 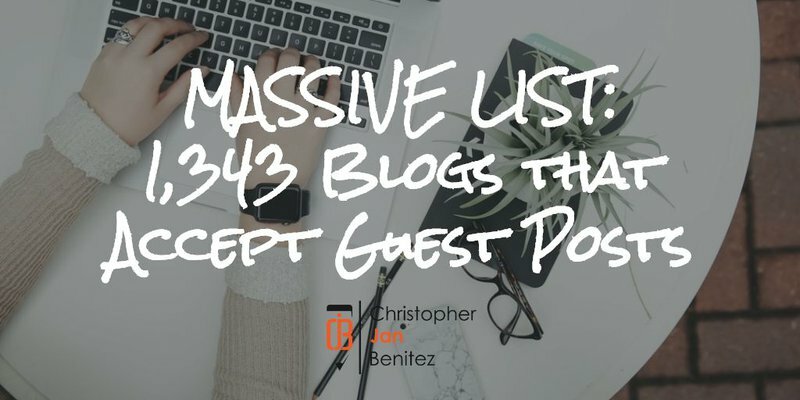 I ended up creating the massive list that accept guest posts. It stays true to my branding – I help small businesses increase their online reach through my guest posting services. However, instead of paying for my services, they can do the legwork themselves by downloading the list and doing the outreach themselves. The freebie at least gives them the option to browse through the list of blogs where they can submit guest posts. However, my service offers turnkey solutions for all their guest blogging needs. 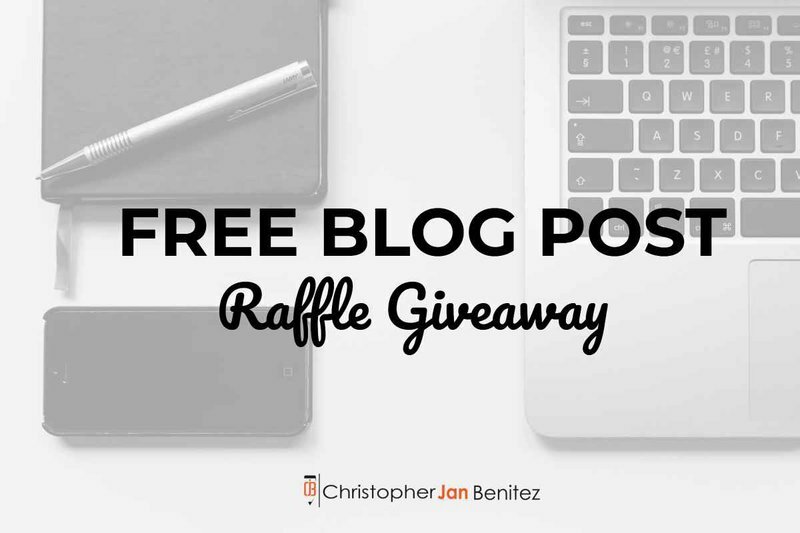 It’s unlike any giveaway at the time – When I created the list, there weren’t a lot of sites that offer a free list of blogs that accept guest posts. Some require you to pay while the list of others is outdated. When I published my list, it was one of the best ones available. Just for subscribing to my list, you gain access to over 1,000+ blogs organized according to their domain authorities and other factors. That’s a pretty good trade-off in my opinion! As of writing, it has a 14.59% conversion rate according to my ConvertKit account. That’s not a bad rate considering that I haven’t updated the list for more than a year. These ways are just some that I’ve used over the years to great success. The tactic vary in difficulty and effectiveness so make sure to focus on what you feel will work for you the best. Despite it all, if the result is higher sales and conversion across the boards, then they’re worth doing! Being writers, any type of advantage you can garner is a welcome addition to your strategy. Try out these techniques and let me know how they work for you! 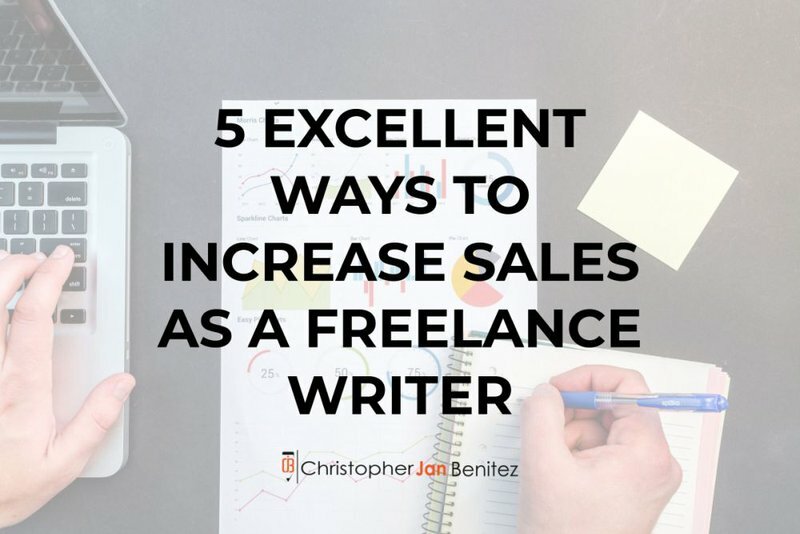 Thanks for reading my post about ways to increase your sales as a freelance writer! Feel free to comment below if you have questions or reactions about the post. And if you enjoy this post, please feel sign up on the form below so you can receive the post straight to your email as it’s published!